En este post continúo transcribiendo algunas notas que tomé durante el curso de Human-Computer Interaction del Interaction Design Foundation, cuyo profesor es Alan Dix. El curso, que recomiendo fuertemente, está en https://www.interaction-design.org/courses/human-computer-interaction. Este post está relacionado a la temática de Implementación, específicamente acerca de los modelos MVC y PAC. Observación: ¡Las notas las redacté en inglés porque el curso es en inglés! Regarding the flow, the MVC is almost like a pipeline model. It depends on the specific action the user takes, though: for some actions, the controller must ‘know’ what the user is viewing before ‘sending an order’ to the model. In these cases the Controller must ‘talk’ with the View. 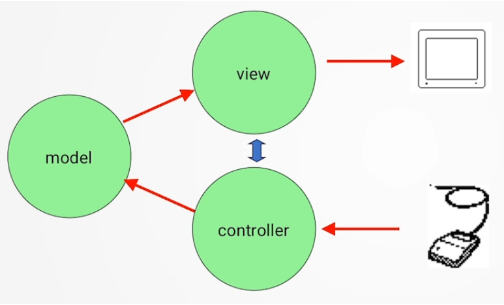 MVC Issues: In practice the model works with the Controller and View ‘talking’ between each other; separation between both is not so complete as the model states. 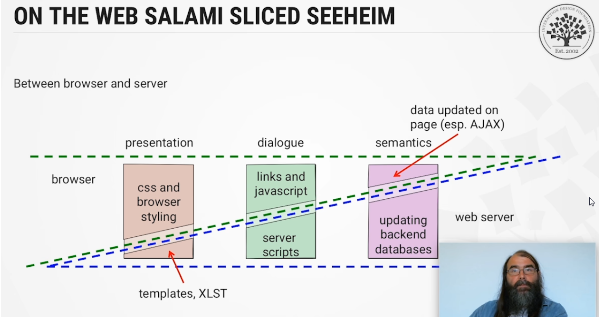 Web implementations are not that obvious when analyzing the relationship between presentation, dialogue and semantics. 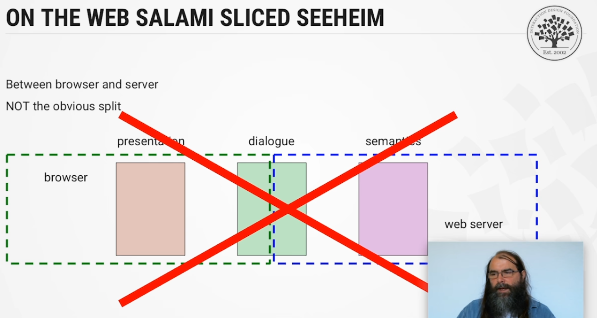 Not the obvious split in web implementations!